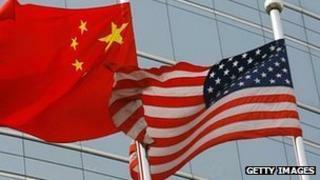 A US man who worked as a guard at a US consulate in China has pleaded guilty to trying to sell secret information to the Chinese government. Bryan Underwood, 32, worked at the consulate in the southern city of Guangzhou between 2009 and 2011. He was accused of writing to China's ministry of state security, offering to provide photographs and details of security arrangements. Prosecutors said Mr Underwood had lost money on the stock market. They said he hoped to make as much as $5m (£3.2m) from the sale. He will be sentenced in November and faces up to 20 years in prison. "Bryan Underwood was charged with protecting a new US consulate compound against foreign espionage but, facing financial hardship, he attempted to betray his country for personal gain," US Assistant Attorney General for National Security Lisa Monaco said in a statement. In a statement, the US Department of Justice said Underwood tried to deliver his letter offering information to the Chinese ministry but was turned away by a guard. He later took pictures of parts of the consulate showing "areas or information classified at the secret level". But he revealed his plans to try and sell information when agents questioned him last year about the images. There was no evidence he had succeeded in passing any classified information, the statement said.